It belongs to a group of medicines called anti-inflammatories for vaginal administration. This medicine is indicated for local and temporary relief of itching and burning of the outer vaginal area in adults. Do not use Rosalgin if you are allergic to benzydamine or any of the other ingredients of this medicine (listed in section 6). - This medicine is used only vaginally. - After applying the solution, wash hands with water, as described cases of photosensitive allergic reactions following exposure of hands to sunlight, without having previously removed the product (see "4. Possible Adverse effects"). - If sensitivity or irritation, or burning or persistent itching should stop treatment and consult your doctor (see section 4 "Possible side effects"). - If symptoms worsen or remain after 5 days or notice increased vaginal discharge or changes in appearance or odor or bleeding, you should consult your doctor. No medicine interactions are known. If you are pregnant or breast feeding, or think you might be pregnant or planning to become pregnant, ask your doctor or pharmacist before using this medicine. Using this medicine does not alter the ability to drive or use machines, since systemic absorption is practically nil or negligible. This medicine is used ONLY vaginally. The recommended dose is 1 or 2 external washes a day for 5 days. The preparation of the solution is effected by dissolving the contents of two envelopes in 1 liter of water. The water may be warm. After applying the solution, wash hands thoroughly. No cases of overdose have been observed with Rosalgin used vaginally. Accidental ingestion of benzydamine hydrochloride may have no symptoms or may feel nausea, vomiting, abdominal pain, dizziness, visual hallucinations or irritability, muscle weakness, tremors, drowsiness, headache, blurred vision, high blood pressure, among other . There is no specific antidote, however, usually subsides spontaneously once the medicine is removed. It may be necessary symptomatic treatment. 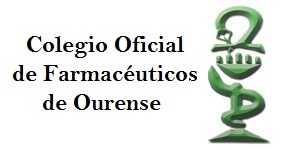 In case of overdose or accidental ingestion immediately consult your doctor or pharmacist or call the Toxicology Information Service on +34 91 562 04 20, indicating the medicine and the amount taken. Like all medicines, Rosalgin can cause side effects, although not everybody gets them. - Skin sensitivity to sunlight (causing rash or sunburn), burning, itching at the application site. - The active substance is benzydamine (as benzydamine hydrochloride). Each sachet contains 500 mg of benzydamine hydrochloride. - The other ingredients (excipients) are: tricetol, sodium chloride and povidone K-25. Rosalgin is in the form of granules for white vaginal solution. Each box contains 20 envelopes.